Thinking about transforming your workplace? There are six considerations to take into account to ensure your workplace reflects your organisation’s values and maximises social impact, writes Elise Harper senior consultant in social impact at Ellis Jones. So your organisation is trying to adapt to a market in flux. Perhaps government regulation has changed funding structures or competitive forces, a market disruptor has emerged, or consumer or beneficiary expectations have changed. Whatever the source of change, you’re aware you need to adapt, fast, to survive and deliver the impact you seek. Sound familiar? We work with organisations in this position continuously. Often, a (surmountable) challenge is in transforming the workforce and workplace into one that supports and builds upon a new direction: perhaps more customer-centric, more adaptable, more innovative or just using new approaches or tools. For any organisation, employees are also its first level of social impact, and have the potential to be its greatest advocates. Numerous studies have shown that employment contributes deeply to people’s sense of meaning, fulfilment and identity, above providing security and structure. Younger generations, in particular, are demanding work that aligns with their value systems, giving them broader social purpose, and involvement with causes and issues that they care about. Transformation is a perfect opportunity to harness the power, passion and skills of employees to deepen social impact and strengthen the organisation (read more about employees as a driver of social impact). Currently, we’re working with Scope, a national not-for-profit organisation that champions and supports people with physical, intellectual and multiple disabilities. Driven by a specialized internal business transformation team, they are adapting their internal approach and systems to thrive in the new context of the NDIS. Closely with their team, we’re workshopping, collectively building and testing a new approach to service design and customer-centricity, to improve Scope’s business sustainability and social impact. Designing any internal innovation approach is as much about fostering new mentality, skills and culture, as building systems that support the management and implementation of new approaches and ideas. Through our current work with Scope and other projects of a similar nature in different sectors, we’ve learnt a few things about what it takes to design and build workplaces that innovate. To even begin the process of innovation, we must actively seek to find solutions: solve current problems, fill gaps in people’s lives, make things better. At the very core of this is the ability to see something from someone else’s perspective. A person must be able to ask the right questions, listen, let go of assumptions and judgments, and at least in part feel what someone else is feeling. In innovation, this applies just as much to the person being innovated for (a consumer or beneficiary) as to the colleagues and partners you’ll work with along the way. Without empathy, the often difficult and emotional process of innovation will stall, or create meaningless results. There is no single innovation in history that has been delivered alone. Nor has any great organisational change been achieved without buy-in from everyone. So start on the right foot, and help people to get comfortable with (and enjoy!) working in cross-functional, cross-disciplinary teams. Not only does collaboration allow innovators to gain radically different perspectives from colleagues and partners with diverse backgrounds (Bob from Finance has a very different outlook from Claudia from Marketing), but the sum is always more than its parts. There is a common narrative that only a particular type of person can contribute to innovation. Scrunch that thought up and throw it out. Not everyone is going to be flowing with creative ideas, but innovation is a collective effort where each person brings their unique knowledge, skills or outlook to the party. This is both a culture and systems shift. Culturally, emphasize that each role type and person has unique strengths that are valued and useful. From a systems perspective, provide input and engagement opportunities for each person, within an ongoing or short-term project structure. Last year, we worked with The Women’s to research and build an employer brand around the proposition that every employee within the hospital (from a doctor in the operating room to a records administrator in the belly of the building) contributes meaningfully and uniquely towards the impact of the organisation. The proposition to all current and future employees: “Your work is powerful”. Spaces create experiences for the people within them, allowing them to behave and interact in certain ways. Properties of the physical space can affect mood, motivation and ease of creative thinking and collaboration. 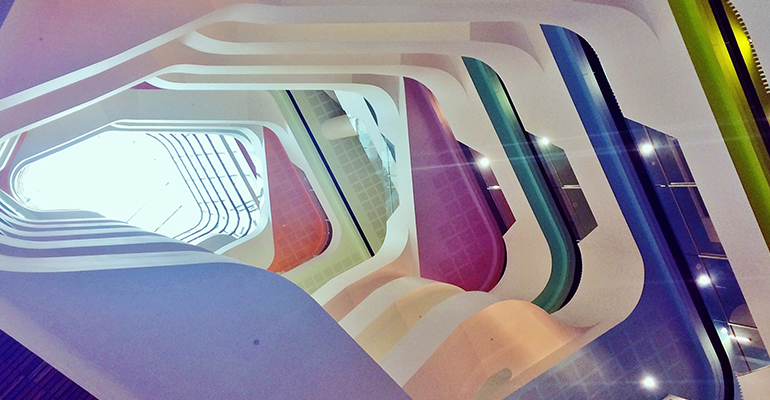 Recently, we met with Medibank to understand more about how they designed their new Melbourne headquarters to promote activity based learning and working. Aptly named Thrive, the redevelopment project was underpinned by the themes of health, innovation and collaboration. They focused on increasing movement, flexibility, freedom of choice for all employees, and making diverse spaces accessible for creativity, interaction and engagement. The building is impressive, but creating spaces for innovation and creativity need not be a major infrastructure project; it can be as simple as thoughtful choices in lighting, colours, room-split, wayfinding and spaces for different types of personal interactions. There is no one structure, system or project type that will work for every organisation (read more about four innovation structures). In the same way, there will be no one solution to the business and social problems you are seeking to address. There is an art and process of rapid prototyping than can be mastered over time, helping to test different ideas and solutions, and fail quickly. Your project management systems and employee rewards programs should support this. There is also a mentality to be built within this: an open-minded, beginner’s mentality. Transforming into an innovative workforce is an iterative process. It takes time, empathy and an ability to sense what is going to work for your particular organisation. Don’t be overwhelmed by the scale of the task, just start from the start. About the author: Elise Harper is a senior consultant in social impact at research, strategy, communications and design agency Ellis Jones. 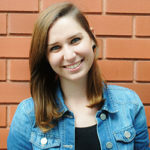 Elise Harper is a senior consultant in social impact at Ellis Jones, an integrated research, strategy, communications and design agency based in Melbourne.